Skinny Weft is a method for installing hair extensions that replaces many of the other methods on the market due to it's natural results and damage free application. With Skinny Weft, you can achieve longer and thicker hair in as quick as 90 minutes from start to finish. Experience Skinny Weft and we're confident you will be amazed at the difference. One of the best things about Skinny Weft is it's versatility and ability to be suited for the majority of all hair types. Skinny weft is safe and effective on fine hair, and is the best of all the methods to use on thick hair. Skinny Weft achieves full coverage volume in less time then individual extensions, and will allow your own hair to grow free and healthy. GET LONGER, THICKER HAIR IN UNDER 2 HOURS! Since Skinny Weft is very secure and not sensitive to product, it is still safe to color your hair while your extensions are installed. The wefted rows allow ease when separating your extensions from your natural hair and allow access for easy root touch ups and color application. We do not recommend to get bleach agents on the beads, however pigment used with 10% volume or less is safe to come in contact with the beads. As always, we recommend to see your trusted Hair Boss Professional for your color services. I still dye my hair? Skinny Weft uses small silicone lined beads which act as anchors to secure hair on a weft using a specialized sewing technique called lock knot. Skinny Weft is applied to the hair in horizontal rows which distributes the weight evenly and grows out downward in the direction of your hairs own natural growth. The beads lay flat and remain securely hidden under the wefts at all times. Skinny Weft does not require the use of any heat, braiding, tape, glue, or tension causing irritants to be applied. As for people experiencing hair loss due to: surgery scars, hereditary hair loss, radiation, chemotherapy, alopecia and trichotillomania this method is one great solution, restoring confidence and hope. Skinny Weft is applied to a section of hair rather than only a few strands of hair, using that whole section to support the weight. Meanwhile, it also allows your natural hair to grow out while you are wearing these extensions. As the name itself suggests “Skinny Weft" extensions are a perfect solutions for those who want to keep the wearing of extensions a secret. Q: How is Skinny Weft different from a “Braidless Weave”? When referring to a “Braidless Weave” there is no one specific technique that is trademarked and quality controlled pertaining to the application of a “Braidless Weave” technique. Skinny Weft is a step by step method of applying extensions that is trademarked by the specific procedures taken to ensure consistency and quality controlled results. The materials used to apply Skinny Weft are specific to the technique and can make a noticeable difference in the results of the outcome. Q: What is the difference in the beads and thread used for Skinny Weft application? The beads that we use are made out of a silicone lined coated copper bead, which is the strongest material available for beads. They are designed to be smaller and more discreet than most other beads while providing non slip protection to safely grip the hair. If a client has an allergy to the copper beads, aluminum bead is an available alternative. Nylon thread is used for securing the wefted hair onto the beaded anchors. Nylon is a durable material that is strong, discrete, and will not absorb moisture or odor. Q: Can I remove the clips from my clip-in extensions and have them installed with Skinny Weft Method? It is not recommended to use clip in extensions and have them installed because clip in hair is not designed for everyday continual wear. Clip in wefts are often bulkier and made out of a lower grade hair that will not last the duration of 6 months of full time wear. Q: What if I don’t feel my extensions are very loose at 4 weeks, can I wait longer to get my Tune up? Despite if your hair has not loosened or grown much in 4 weeks, it is still required for you to come in for a Tune Up to remove shedding which can add weight to the hair. 4 weeks time period is based of your hair’s natural shedding cycles. If you are not consistent with 4 week Tune up’s, you risk matting at the root which will prevent you from being able to tighten your extensions. This might shorted the expected amount of time you can keep your extensions in continually. Q: If i’m wearing other extensions should I remove them first before my appointment? Extension removal for pre existing extensions from salons other than Hair Boss can be performed by our technicians but must be pre booked in advance to allot the time required to remove the extensions. A fee of $50-$100 will be charged depending on the type of extension that is being removed, and how long of an appointment is required for the removal. Q: Why do I have to remove my extensions after 6 months? 6 months is the maximum amount of time that you should wear your extensions continuously. To sustain good scalp health, we remove your extensions after 6 months and change the placement slightly to allow a resting phase to the area of your hair that the extensions were attached to. It is like crop rotation to prevent erosion of your hair and prevent damage. No break period is required after removal of extensions because we are using new placement of your scalp when reapplying Skinny Weft. Q: Can I remove my extensions myself? You most likely could, however we recommend having a Hair Boss stylist professionally remove them for you. This is to ensure you do not cause any harm when doing so. The cost of removal is included in your extension package. However, If you are negligent with your extensions and you have left them without care or maintenance for a prolonged amount of time, you are subject to paying an additional fee if your removal service takes longer than 30 min. Q: Can I reuse the same hair again for a second installation? 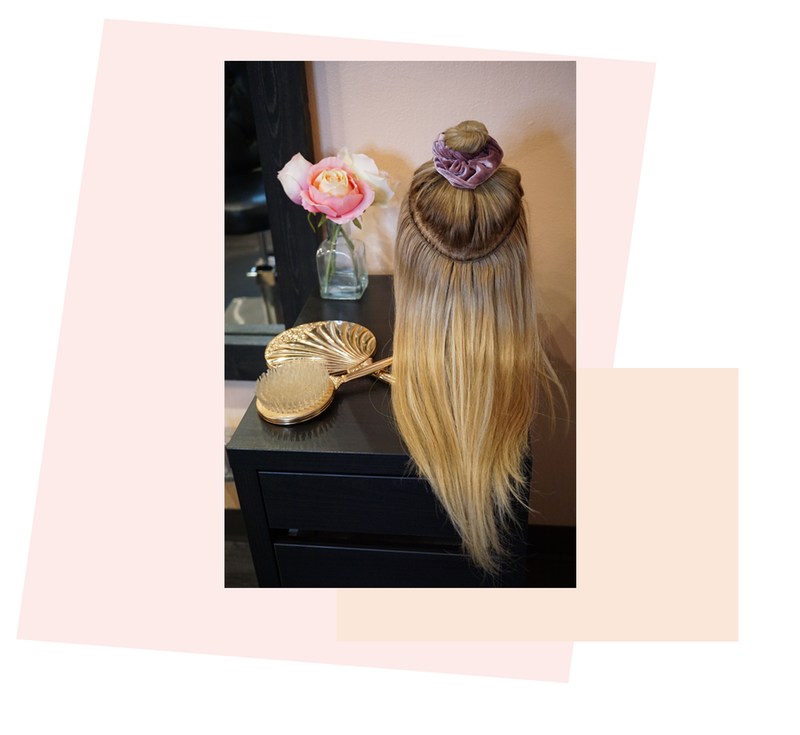 There is no guarantee of the lifespan of your hair extensions but if you care for your hair according to our recommendations, it is common for clients to reuse the same hair for a second installation. Typically darker hair has a longer wear time due to minimal processing requirements. Q: How much will it cost to reinstall my extension when I am reusing the same hair? The cost of the package to reinstall your extensions will cost $300.00 and include reinstallation, a trim if desired, and your future removal in 6 months. Q: Can I bring my own hair and have Skinny Weft installed? Yes, this service is called a B.Y.O.B. (Bring your own bundle). The service does require a consultation where you bring in your hair and we ensure that it is hair that is suitable for our technique, as well as that you have enough grams of hair that is best recommended for a successful outcome. The cost is $300.00 and includes: Installation, cut, style and removal. Q: What if you don’t have my exact color hair? During your complimentary consultation we will use our color ring to find a color that matches with your hair type. If you have an uncommon hair color and we do not have a shade that matches your hair color, we can customize the hair to match yours. Please note that this is an additional service cost which can vary in price depending on the extent of the color customization. Q: I try not to color my hair too often and it tends to fade to a lighter color over time, should I get extensions that match my hair after it is freshly dyed? A better option that we would recommend is to get extensions that are the color of your hair when it is faded, then apply color all over when touching up the color, this way when your hair fades it will fade together. 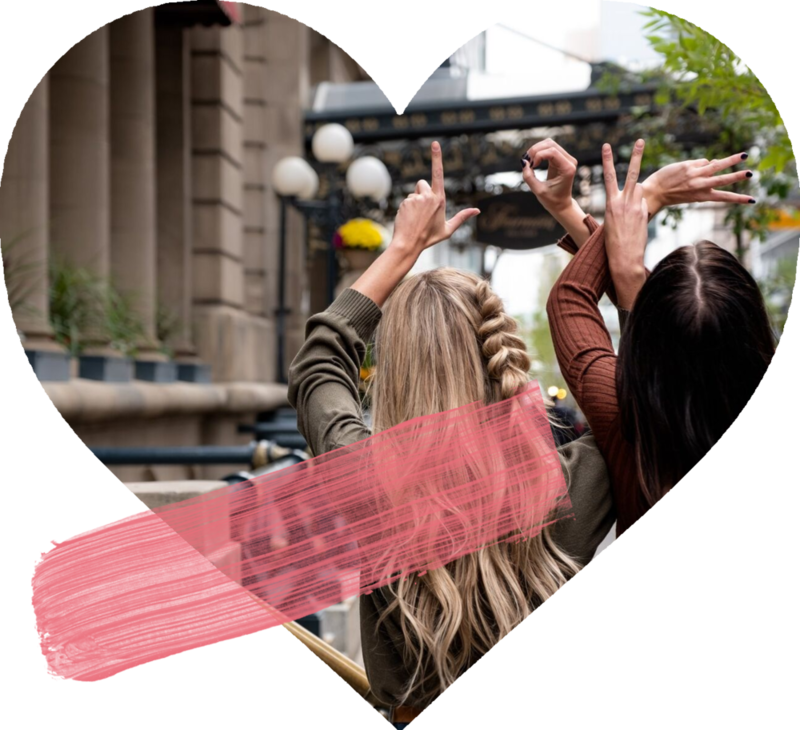 Naturally, extension hair pigment does not fade, and when yours does, it will end up leaving a distinctable difference between the color of your hair and the color of your extensions. Q: What if I have my own sulphate free professional grade Shampoo and Conditioner at home can I use that instead of what comes with my extension package? The recommended Shampoo and Conditioner that we provide is an important step in ensuring that your extensions are getting the specific nourishment that they require. Davines hair care line products have been tried and tested knowing that they are safe and gentle enough to use on your extensions. Hair extensions require specific products and we notice a big difference in the quality of hair when using Davines vs. other products. Q: Can I use any oil on my hair? Oil is an important part of your daily hair care regimen when wearing extensions. Not all oils are created equally. Many oils on the market are made with silicone or molecules that are too large to penetrate the hair shaft. This leads to making the hair feel heavy, greasy, or a leaving a residue of noticeable product build up. One of the recommended type of oil’s we recommend you to use on your extensions is Oi Oil by Davines because it penetrates the hair shaft, heals the hair and provides hydration and strength to the hair shaft. It is absorbed into the hair within minutes so it will not weigh down the hair or cause a build up. It also eliminates frizz and dryness. Q: Should I avoid washing my extensions very often? The theory to wash your hair less when you have extensions is due to a few factors. Using Shampoo that is too harsh on the hair can create dryness and prematurely age your extensions. With our recommended hair care line, it is gentle enough on the extensions to withstand washing as frequently as you feel is necessary. Each time you wash your hair, our product line is providing essential benefits that will actually make your hair look and feel better. We do recommend to not use to large amounts of shampoo throughout your whole hair. A small amount of shampoo used only at the root on your scalp to remove oil will be just the right amount of cleaning. The suds from lathering your roots will be suitable for cleansing your extensions without stripping them of moisture. Condition as much as you desire! Often times I see more problems from under washing your extensions then over washing them. Under washing your hair can lead to build up from the environment and products, and can leave your hair feeling dull and dry. Q: How come you do not include free touch up’s like some other salons do? Other salons may give free touch up services but have a higher package price upfront. We felt allowing you to pay less upfront would be more beneficial to the budget. The cost of our “Tune up” service reflects the attention to detail our stylists give when performing your maintenance appointments. It also covers the cost of additional materials such as our high performance beads that we will replace as often as necessary to ensure that your extensions are always securely in place. Our technique is so secure, you should only need to see us once a month for your required Tune Up service. Q: Can I color my hair with my extensions in? If you need to touch up your color there is no need to remove your hair extensions to do so. Color can be applied easily onto your hair working around the extensions. If you’re touching up color that includes bleaching, you must avoid getting bleach on the beads. Q: Can I dye the extensions? The golden rule is that you can apply color to your extensions using 10 volume developer or less. However, Hair Boss does have a virgin hair line which can be lightened. Never attempt to lighten the hair that has already come pre color treated. Determining the cost of your SKINNY WEFT installation is established by factors such as your desired length, volume, colour and hair quality. A consultation with a Hair Boss professional is required to discuss your personalized needs. Your complimentary consultation is an opportunity for you to learn in detail about the amazing benefits of Skinny Weft, how it is different from other methods you may have tried before, and get your personalized quote. Our professionals will take the time to answer all your questions, find a perfect color match option for you, and start your personal profile so you can book at any time! The best way to get an accurate price quote, obtain an accurate color match, and learn about Skinny Weft is to book an appointment to come in person and meet one on one with a Hair Boss Professional. If you are inquiring from out of town or can't make it in we are able to offer a mini e-mail consultation! If you need an email consult, please send us a clean picture of the front and back of your hair in natural light allowing us to see the full length of your hair. Please also include an inspiration photo of the look that you would like to achieve. This will help us determine what extension package will be best to achieve your dream results!